One of the biggest mistakes we see people have already made when they start researching their options in a divorce is they have inadvertently “gifted” their non-marital home to the spouse they now want to divorce. 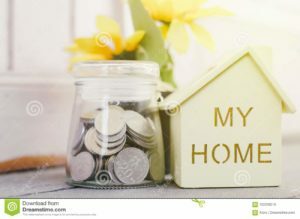 This often accidentally occurs when refinancing a home that is owned by only one spouse prior to the marriage and the other is added to the deed during the refinancing process, thereby arguably converting the home to a marital asset. For example, Tom owns a home before getting married. Tom marries Susan, and Susan moves into Tom’s home. Tom decides he wants to refinance the home, which is only in his name and is therefore his non-marital property. The financing company insists that Tom add Susan’s name to the deed, so he adds her, thereby inadvertently converting what was once his separate, non-marital property into a marital asset. Years later, Tom and Susan are divorcing and Susan’s attorney argues that because Susan’s name is on the quitclaim deed, the home is a marital asset that should be equitably divided between the parties. Unfortunately, the burden then shifts to Tom to show that it was not intended as a gift. This is very difficult to do unless the parties signed something at the time indicating it was not a gift and therefore, Susan will most likely receive half the value of the home in the divorce. To avoid this possibility, ask the financing company if your spouse can just consent to the mortgage and not the deed when you are refinancing. If the financing company still insists on the deed, consult with a real estate attorney to make sure that doing so is absolutely necessary. If it is necessary in order to refinance, get your spouse to sign an agreement at the time of the refinancing that the name is only being added for the purposes of refinancing and that it is not intended as a gift. If they won’t sign and you still need to refinance send them an e-mail advising them that your intention is not to make a gift of the property and that they are only being added for refinancing purposes. Who gets to keep the engagement ring in a divorce proceeding? Engagement rings given prior to the marriage are treated as gifts conditioned on marriage. Therefore, if the parties marry, the donee (i.e. the wife) gets to keep the engagement ring as her separate non-marital property. In other words, the engagement ring is not subject to equitable distribution (the division of marital assets). It’s a different story if the parties separate before getting married. If the engagement is terminated by the donee (i.e. the future wife) or if the parties mutually agree to end their engagement, the ring must usually be returned to the donor– the party who gifted the ring. If for some reason the ring was given to the spouse during the marriage it then is a marital asset subject to equitable distribution. It becomes a little trickier when the engagement ring is upgraded during the marriage. However, in most cases the engagement ring will be the separate non-marital property of the spouse to whom it was given as they are typically given prior to the marriage.